Kids will be always kids, but their toys have changed―and it can be overwhelming! We are inundated with all kinds of sensory-stimulating noise and light toys, and digital media-based platforms with child-oriented software and apps. The American Academy of Pediatrics (AAP) report, Selecting Appropriate Toys for Young Children in the Digital Era, offers guidance that can help you navigate the shopping isles. The best toys are those that match your child's developmental skills and abilities and encourage the development of new skills. Symbolic/pretend – Pretending through toy characters (such as dolls, animals, and action figures) and toy objects (like food, utensils, cars, planes, and buildings) help children learn to use words and stories to imitate, describe, and cope with real life events and feelings. Imagination is the key here! Imaginary play is a large part of a child's social and emotional development. Fine-motor/adaptive/manipulative – Children can learn problem solving skills with the "traditional favorites" (like blocks, shapes, puzzles, and trains). These types of toys support fine motor skills and can improve language and brain development. Some of these toys also build early math skills, as well. Art – High quality does not mean expensive. Things as simple as cardboard boxes or pads of paper still make little ones happy. Coloring books, crayons, markers, clay, stickers all make great gifts, build creativity, and help improve fine motor skills. Language/concepts – Over the past two decades, many traditional toys are now available in electronic versions. And new toys are built to substitute for human interaction. For example, a toy bear that reads a story aloud or a board game that is now available as an app with virtual players. But actual human interactions are essential for a child's growth and development. Digital toys should never take the place of real, face-to-face play. Traditional card games and board games (not the video game or app versions) and even toy letters and books create opportunities for you and your child to interact and have fun together. Gross motor/physical – Toys that include physical activity (like playing with balls, push and pull toys, ride-on toys, and tricycles) help physical development and can improve self-regulation and peer-interaction because of the negotiations around rules that typically take place when kids play together. Use caution when you see "educational" on the label. The truth is most tablets, computer games, and apps advertised as "educational," aren't. Most "educational" apps target memory skills, such as ABCs and shapes. These skills are only one part of school readiness. The skills young children really need to learn for success in school (and life) include impulse control, managing emotions, and creative, flexible thinking. These are best learned through unstructured and social play with family and friends. 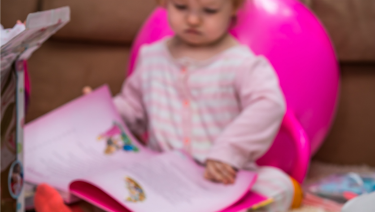 Research suggests tablet-based toys may actually delay social development for infants and young children, because they don't include real life facial expressions, gestures, and vocalizations. Be aware of the potential for toys to promote race or gender-based stereotypes. Just as toys have changed over time, so have our expectations of "what girls do" and "what boys do." All children need the opportunity to explore different gender roles and different styles of play. Offer children's books or puzzles showing men and women in non-stereotypical and diverse gender roles (like stay-at-home dads, working moms, male nurses, and female police officers). Have a wide range of toys for your child to choose from―including baby dolls, toy vehicles, action figures, and blocks. See Gender Identity Development in Children. Limit video game and computer game use. Total screen time, including television and computer use, should be less than 1 hour per day for children 2 years or older and avoided for those younger than 2 years of age. Children younger than 5 years should only be allowed to play with developmentally appropriate computer or video games, ideally accompanied by the parent or caregiver. See Healthy Digital Media Use Habits for Babies, Toddlers & Preschoolers. Government regulations, improved safety standards for the manufacture and use of toys, and product testing have made most toys safe when used appropriately for the recommended ages and stages of development. However, unsafe toys can still be found. In determining toy safety, the characteristics of the toy should be considered as well as how the toy might be used or abused, and the amount of supervision or help needed for safe play. Avoid toys with button batteries or high-powered magnets. SaferProducts.gov allows anyone to report toy safety concerns. Recalls.gov provides information about toy safety recalls. 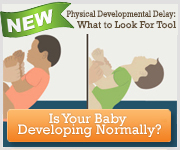 A certain toy is not necessary for your child to reach his or her next developmental milestone. There is no one app that will teach your child to read. While it's easy to fall victim to the marketing, you are your child's best teacher. Toy & Play for Children with Disabilities Resource List (Northwest Access Fund) Looking for a special toy or gift for a child with a disability? This resource list is designed to provide some helpful links/suggestions for toys, play and recreation for kids with disabilities.